Made of light weight soft mesh designed to shield hyour horse from flying irritants on the trail or inb the practice pen. Cleverly constructed and adjustable bug armor. 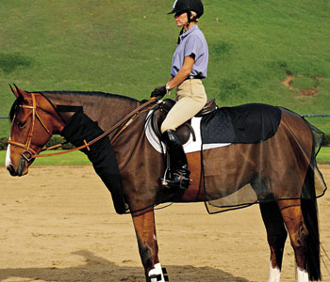 Connects to the bridle and saddle to provide full coverage without inhibiting the rider or affecting the horse's natural movements.